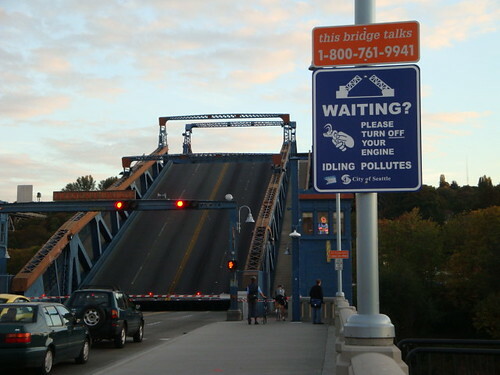 Permanent signs have been put up on the Fremont Bridge, enticing passers-by to call it. 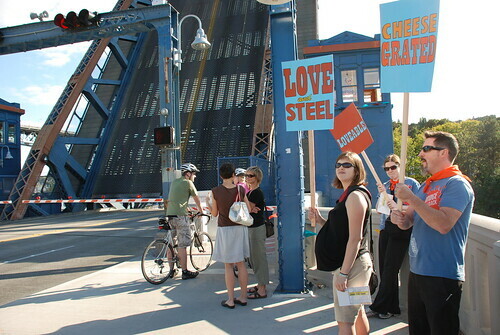 The opening celebration of Kristen Ramirez’ public art project may be over, but “Bridge Talks Back” will ring on through April 2010. Over the summer the artist set up a voice message line inviting residents to tell their favorite stories or memories about the bridge. 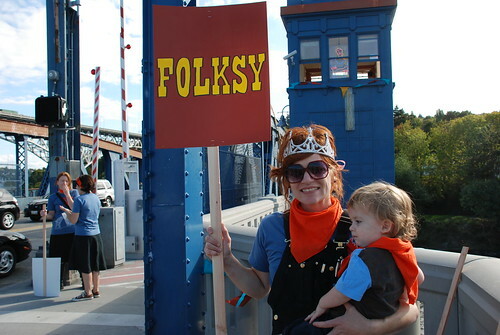 She then created an audio composition made of portions of some of those messages, combined with various sounds from the bridge. You can hear that recording 24/7 by calling 1-800-761-9941. 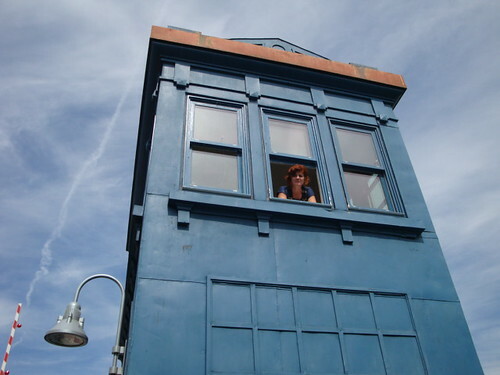 Kristen says she knew from her first day in the tower that the composition was going to involve sound, so she set up a voice message line for people to call and tell their stories about the bridge and their experiences there. Throughout the summer, she received more than 50 messages. One of her favorites was from a man who told the story of how his wife had always wanted to ride the bridge and on her 75th birthday she finally figured out how to do it and did just that. The public art project was commissioned by Seattle’s Office of Arts and Cultural Affairs from the Department of Transportation’s 1% for Art funds. The result will be revealed on Saturday, September 26 from 1-4pm. Tom Yoder, a Fremont-based trombone player is writing a musical number specifically for the project. 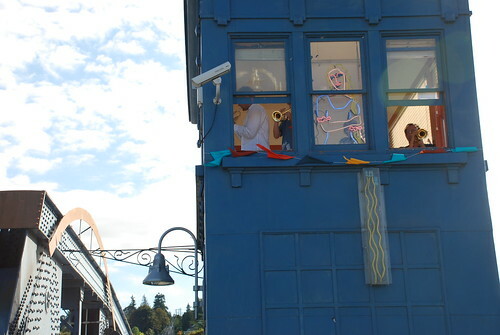 For three hours, 16 different horn players will be stationed at all four corners of the bridge and will play each time traffic gets stopped for the bridge to go up. 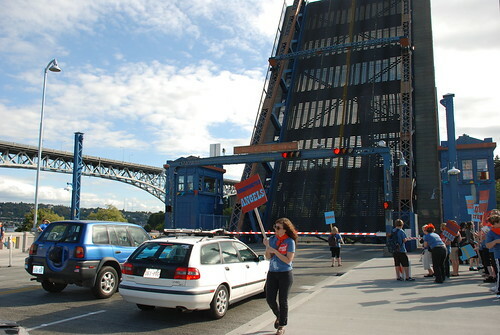 Then, as the bridge rises, a sound piece will play over the bridge’s loudspeakers. Kristen is still looking for about 50 performers to volunteer to be part of the coordinated fanfare, and all types are welcome. One orientation meeting will be required. All volunteers will receive a t-shirt and hand-painted sign. If you’d like more info or to sign up, contact Kristen at ktramirez@hotmail.com.